Blogger’s Block. It’s when a blogger doesn’t know what to blog about. I have just a touch of it tonight. Not that I don’t HAVE anything to blog about. Not that I don’t WANT to blog. I’m just too lazy to edit the photos! So I’m going to pull out some photos that I can get by without editing and call it good. Just a mishmash of this and that. Then I’m going to go curl up with my feather pillow and get some sleep! 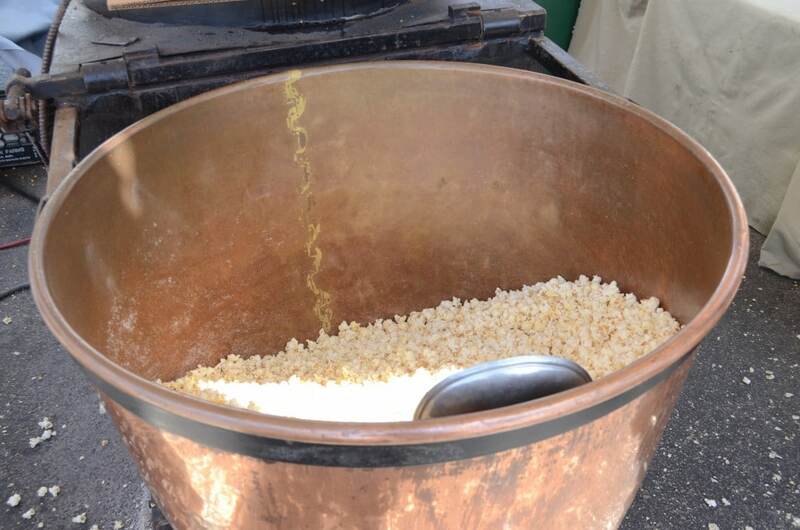 Copper kettle of popcorn at the fair. I’ll take the kettle – you can keep the popcorn – thank you very much! 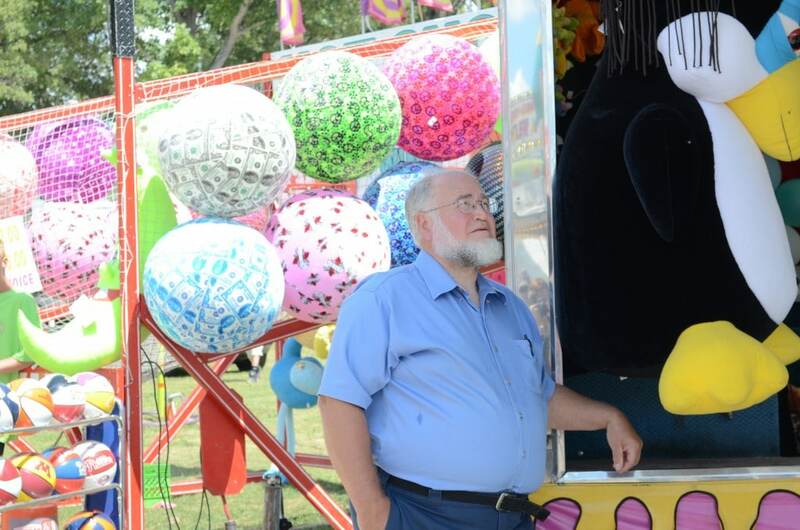 My Dad watching his grandkids ride the Ferris Wheel. 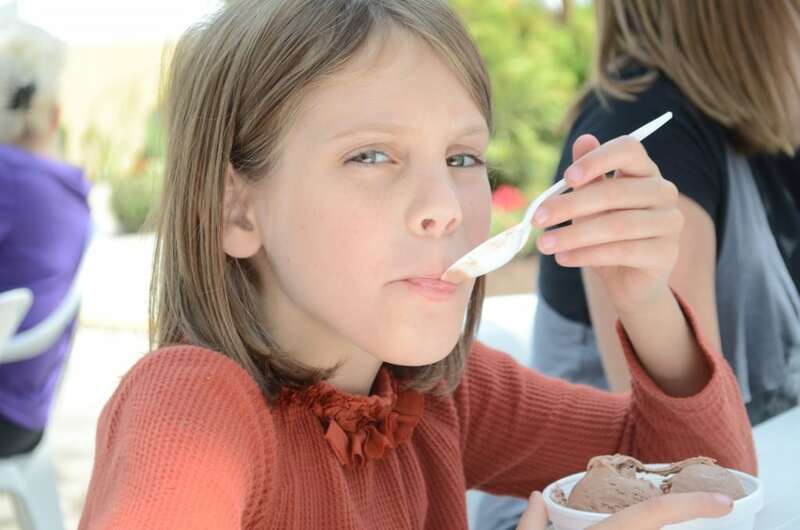 Middle Sister eating ice cream at the Portland gas engine show. 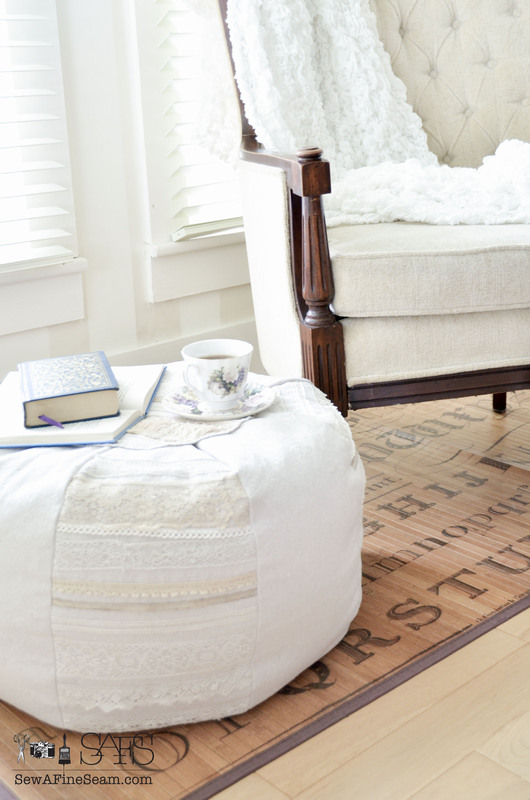 We went to the flea there – fun finds came home with me!!!! And yes I will blog about them soon – in fact, there is a little sneak peek at the bottom of this post! 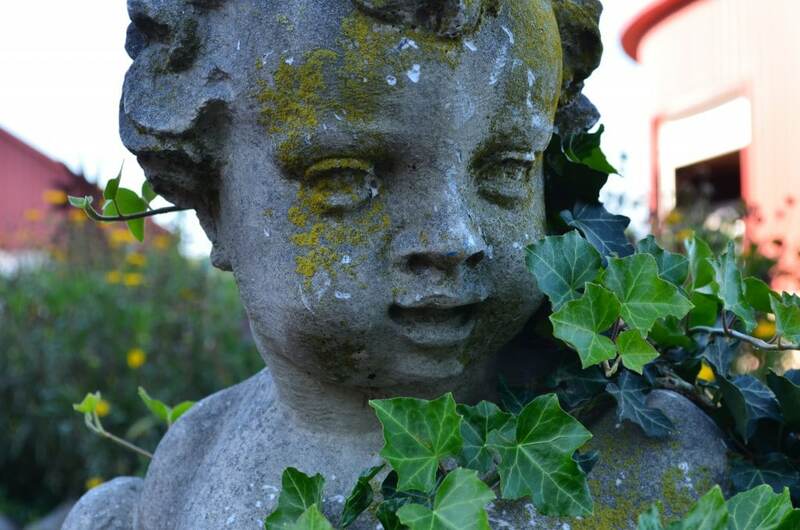 Antique cherub. I so wish he was in my garden. Just look how he’s all mossy from age! Tractor pulls at the fair. First time I’d ever been to the Tractor pulls. Loud. VERY LOUD!! 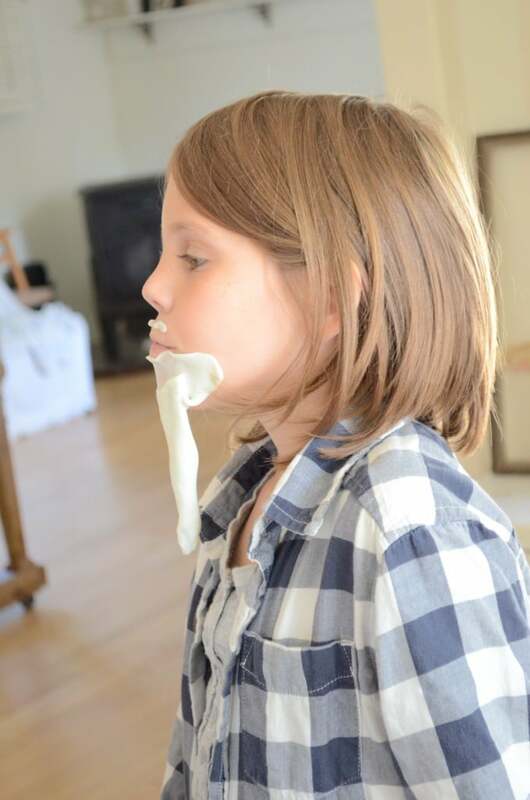 Middle Sister using her ‘thinking putty’ to make a beard. While she did her school work. Nice. 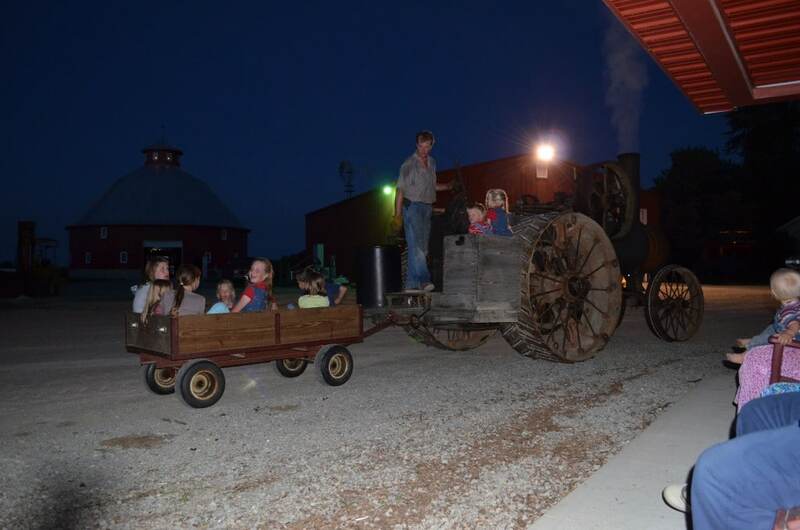 Wagon ride behind a steam engine! Fun evening with family 🙂 Love how those two littles are riding in the wood box! And now I’m off to dreamland. Toodles! 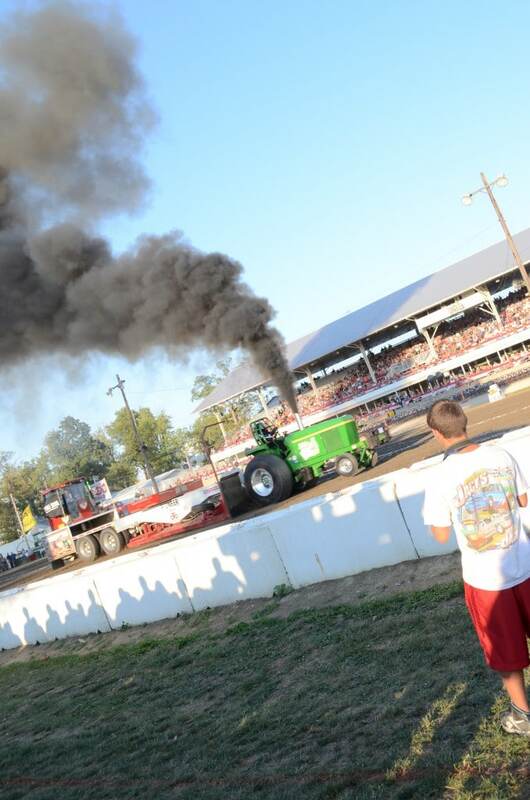 T took one of our boys to the tractor pull last year…they still talk about how LOUD it was! Ear plugs would be a good thing – it gets tiring having to put your fingers in your ears!!! And it’s hard to plug your ears and take photos at the same time! ohhh, i’m jealous that you got the brushes – they look soooo nice. I have a color chart – my stockist gave me one (you know, cuz i’m a blogger. . .). I can’t wait to see what you’ve been doing with the dark wax! Yeah I’ve been splurging on paint stuff Breida! I also ordered 3 colors of milk paint, antiquing wax, furniture wax, and hemp oil. Sew a Fine Seam may just have to insert a side line of ‘Fine Furniture’!! I’m having fun learning what all you can do with these great products. I’m lovin’ the beard! Such a kid creativity thing. You just gotta love it. 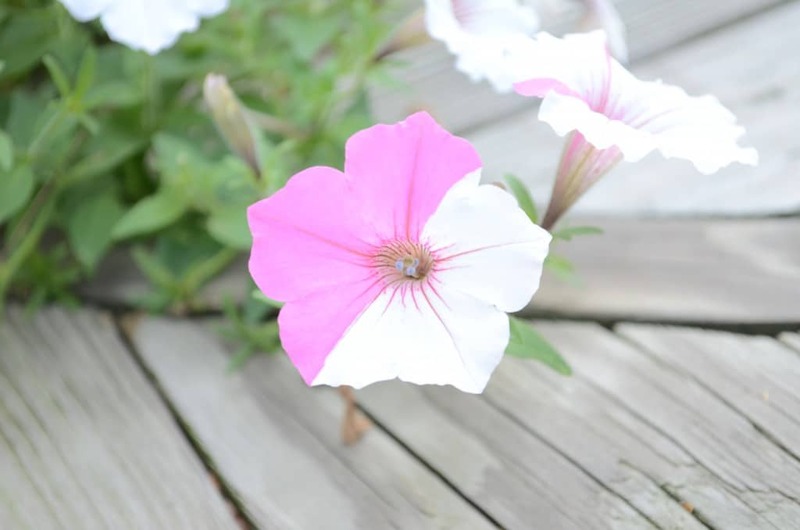 I like your picture of the petunia. And I can’t wait to see what you’ve been doing with your paint and wax. I get bouts of blogger’s block too. 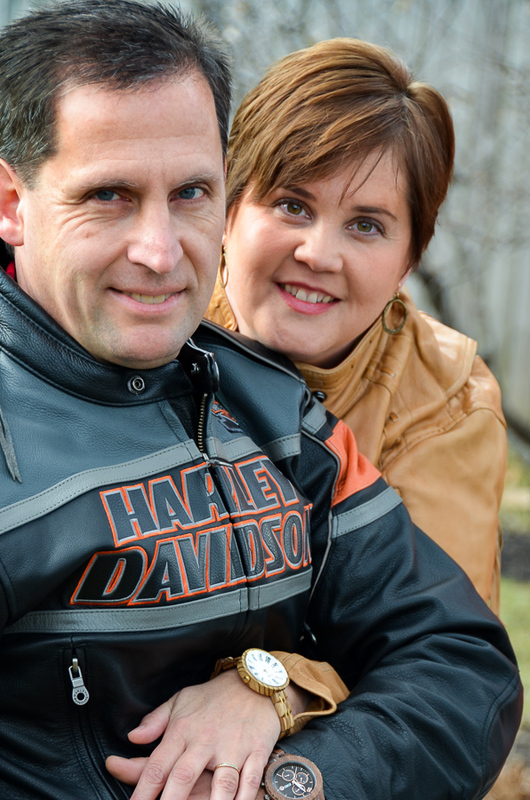 I really love blogging, but sometimes it’s just hard to get it all to flow PLUS have the time! I just plugged my ears! Don’t plan to make it a tradition but it was kind of fun! The teenager must be so excited that you found the vintage typewriter. My quest continues :). Even with writer’s block, I still adore reading your blog and lovely posts. 🙂 The Teenager IS excited! I should have got a pic of her with it at the flea so I could blog it. I must blog about finding it this week – it’s a fun little story. Teenager calls it ‘hers’. But I insisted that it be used in my decor 🙂 Need to find a new ribbon for it so she can use it like she wants to. 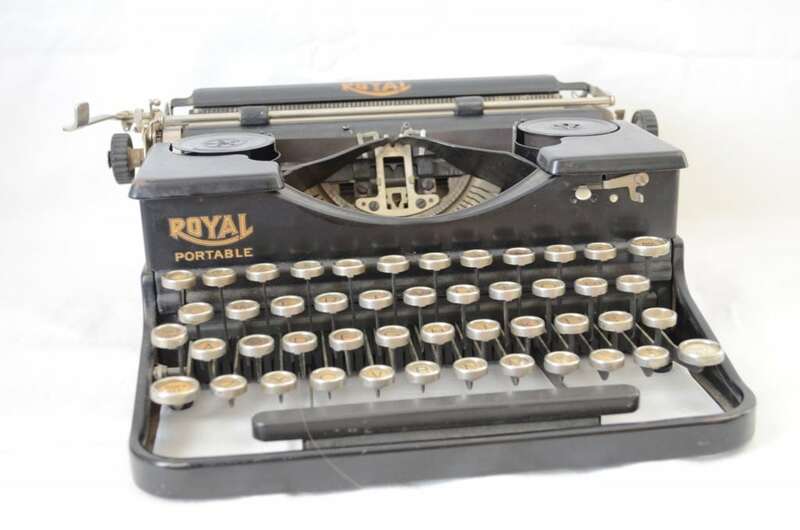 That typewriter…oh my, can’t wait to see it in a pretty vignette somewhere! It is so cute Pam! and it doesn’t matter where I put it – it looks great! The problem is deciding which spot gets it! !